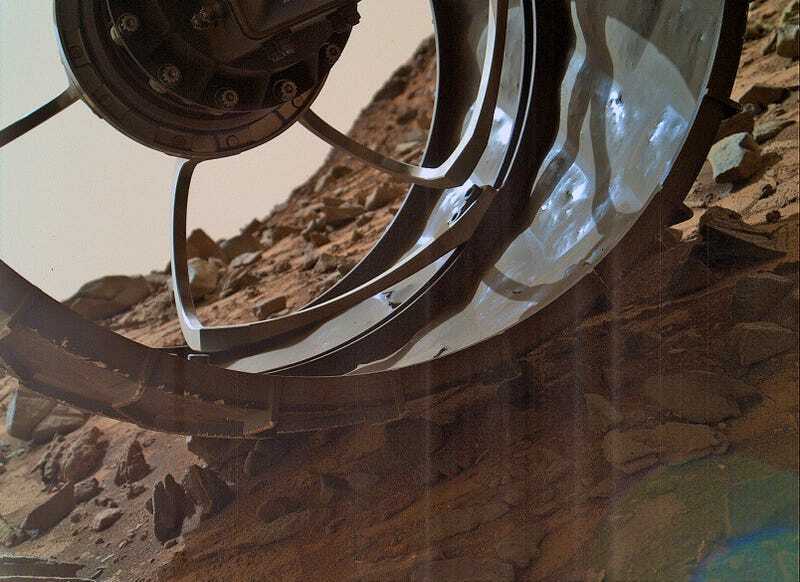 Curiosity snapped this cool closeup of its wheel on Mars soil last week. You can see the bumps and damage the tire. Note: I have color corrected and enhanced the original image for clarity. 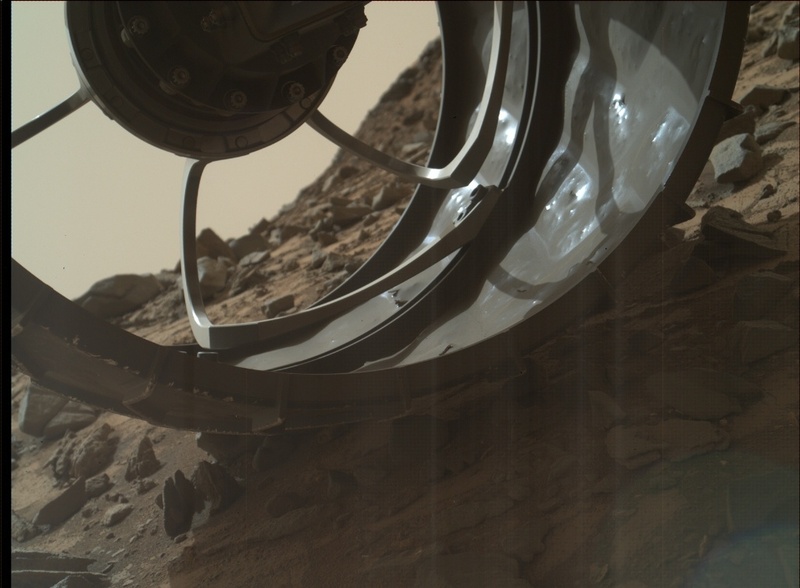 Note 2: Jesuschrist, that's a photo of freaking Mars, people! It still amazes me that this is happening.